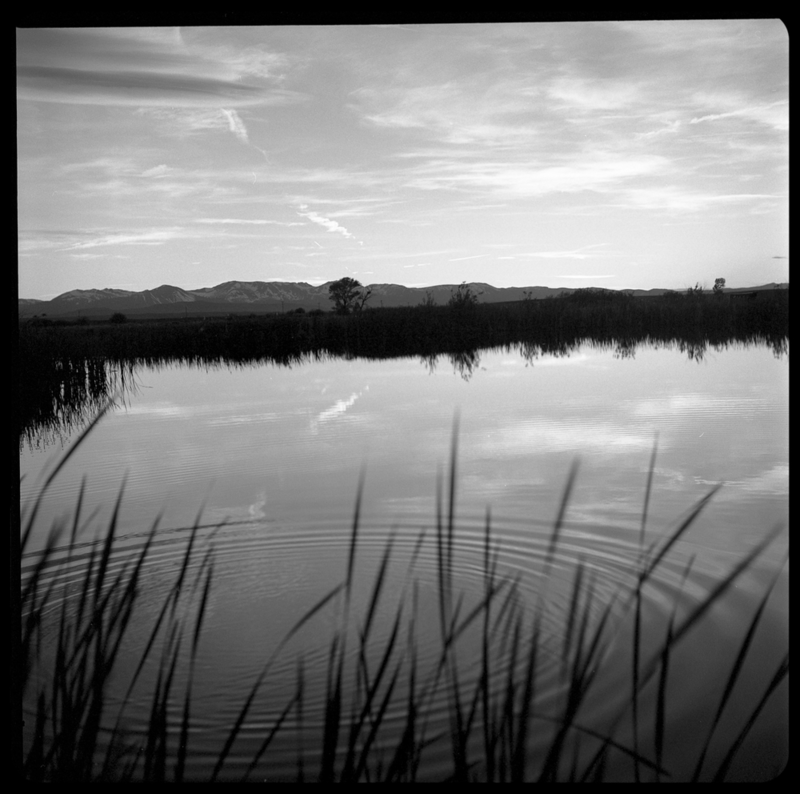 Walden, CO - We had just finished up filming for the day, documenting an unsupported cycling race across the United States and I had some time, so I grabbed my rolleiflex and ran down to the pond. In hindsight, I should have also filmed some scenics, but I must admit that was the furthest thing from my mind. The sunset was going off, and the scene around the pond was mesmerizing. That’s one thing that I enjoy about shooting film. It seems like when I do, my mind clears and I focus on what’s in my hands and my surroundings. I quit thinking about problems that i’m having in my life, and I take my first breath.